Rest assured that there are ways to redo what nature has given you or cosmetically remedy problems that have affected your once-pleasant smile. 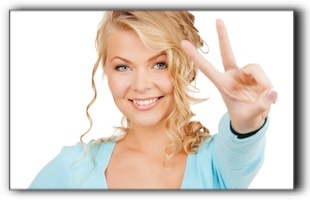 Talk to a cosmetic dentist to learn how you can achieve a smile you can be at peace with. For information about veneers, bridges, dental implants, invisalign braces, visit https://www.vitangelismiles4you.com/about-us/. I’m Drs. Lou and Nick Vitangeli with Vitangeli located in Englewood at 320 Union Blvd. Just like Mother Teresa said, I believe peace can begin with a smile. If you are not content with the appearance or condition of your teeth, gums, or bite, call 937-836-3565 to schedule a cosmetic dental consultation. I have years of experience providing my Englewood area patients with cosmetic dentistry, smile makeovers and total mouth reconstruction. I fix bite issues, seal children’s molars, remove decay, contour gums, mend cracks, bridge gaps, and reconstruct after tooth injury. We are your local, experienced dental practice and provide quality service and products. We are devoted to creating the best dental experience possible. If dental visits make you feel the exact opposite of peaceful, let’s talk about oral conscious sedation. With a little help, you can get through your treatment with minimal anxiety and be at peace with your smile for years to come. We’ve been providing services such as cosmetic and restorative dentistry, general dentistry, and Invisalign & 6 Month Smiles since 1984 to Englewood and nearby communities such as Vandalia, Clayton, and Union. Even patients from Dayton have found value in traveling to see us. Our friendly and gentle, competent staff can schedule and discuss any of our top services such as dental implants, general dentistry, cosmetic dentistry, sedation dentistry, and restorative dentistry.